Hamsters should have access to food and water at all times. A ceramic dish food bowl is the best to use. 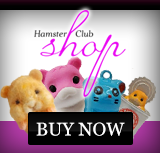 Make sure that you also attach a hamster water bottle to the side of the hamster�s cage. A hamster's diet should include a variety of seeds and grains mixed specially for hamsters. Hamsters have large cheek-pouches that they use to store and transport food with. The inner linings of their cheek pouches are sensitive and sharp or jagged foods can get stuck and be harmful to your hamster. 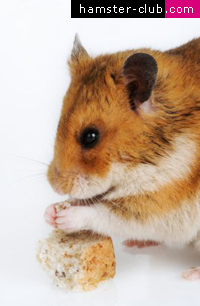 Some ideas for homemade treats one can give a hamster are: bread, toast and dog biscuits. 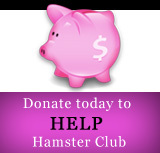 Hamsters are omnivores, meaning they eat plants and animals (insects). Yes, they even eat living insects like grasshoppers and mealworms. You can also give your hamster small branches from non-poisonous trees. Foods that can be poisonous to hamsters are: raw beans, candy, chocolate, potato buds, green parts of tomatoes and tomato leaves, apple seeds, onions and rhubarb.